OEM Piaggio Workshop Manual .PDF download. 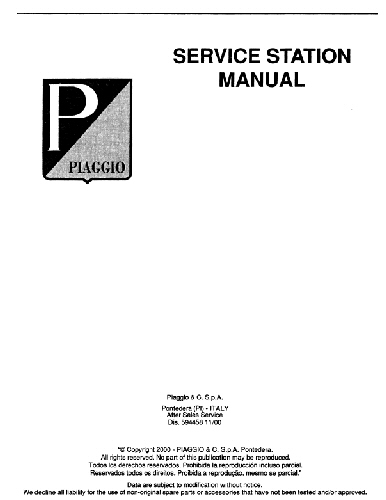 This is a factory service manual for Piaggio '17-'19 MP3 500 Sport/Business ABS. Purchase this product to download a .pdf version of the complete service station manual. *Complete Wiring Diagram Sold Separately.